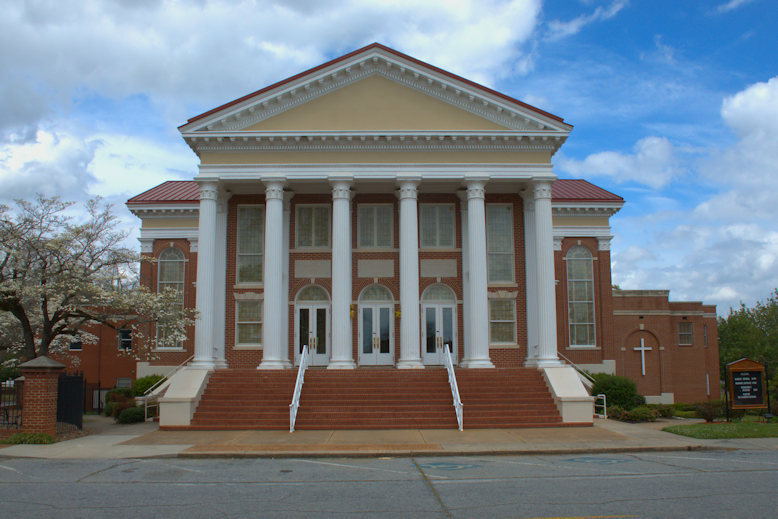 First Baptist Church of Forsyth was established in 1838 as Harmony Baptist Church. 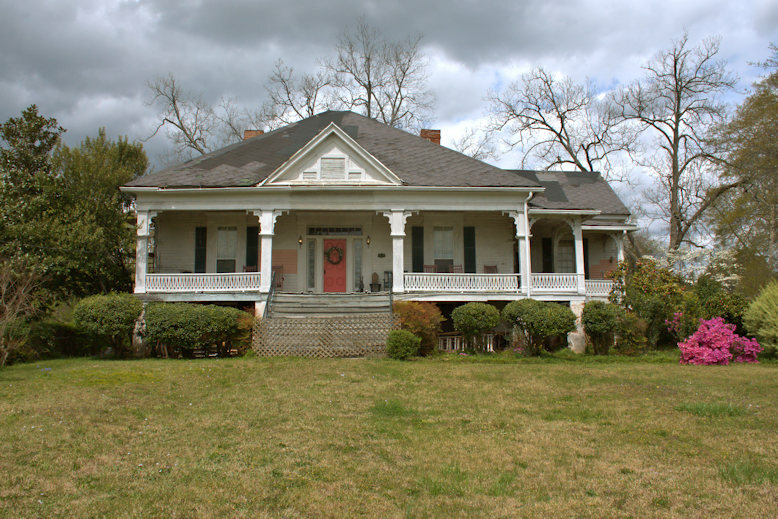 Their first home was constructed on this property in 1840. 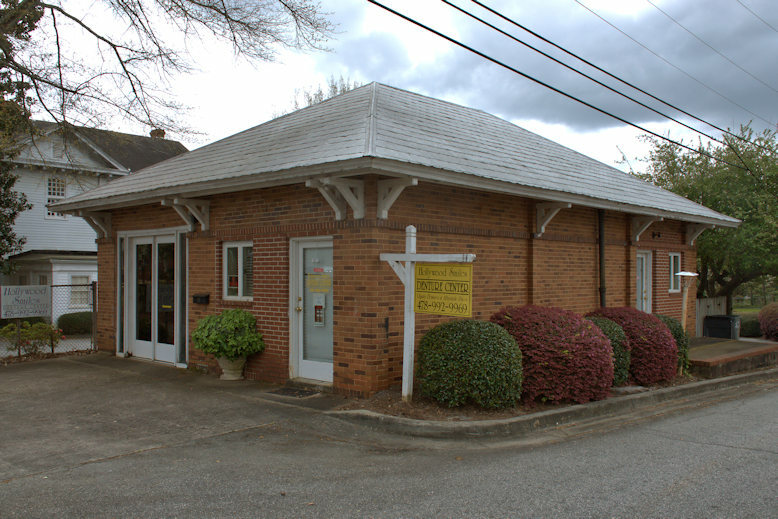 The congregation named was changed to First Baptist Church around 1840, then to First Baptist Church of Forsyth between 1913-1917. The old church building was retired in 1921 and the congregation moved into this structure in 1923. 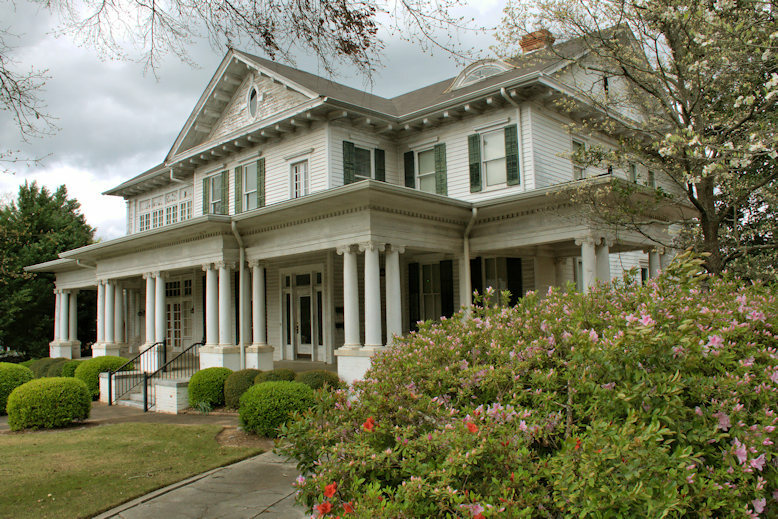 In the interim, services were held in the Bank Stephens Institute and baptisms performed in the swimming pool at Bessie Tift College. 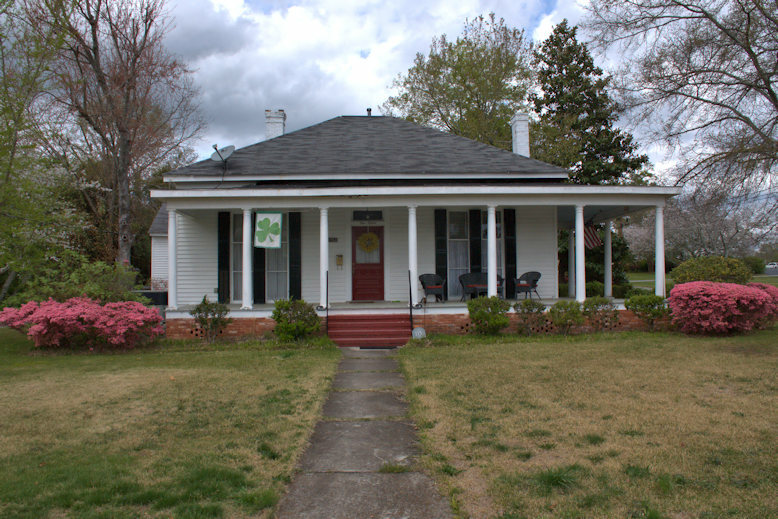 Dr. L. B. Alexander and family were the first occupants of this house, later owned by the Tison-Brown and Coleman families. 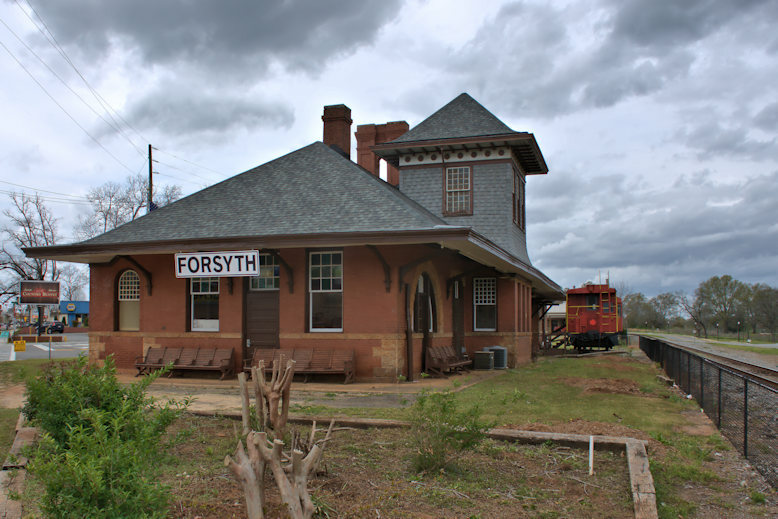 It’s among the oldest in Forsyth. Thanks to Stefanie Coleman Anthony for the identification. 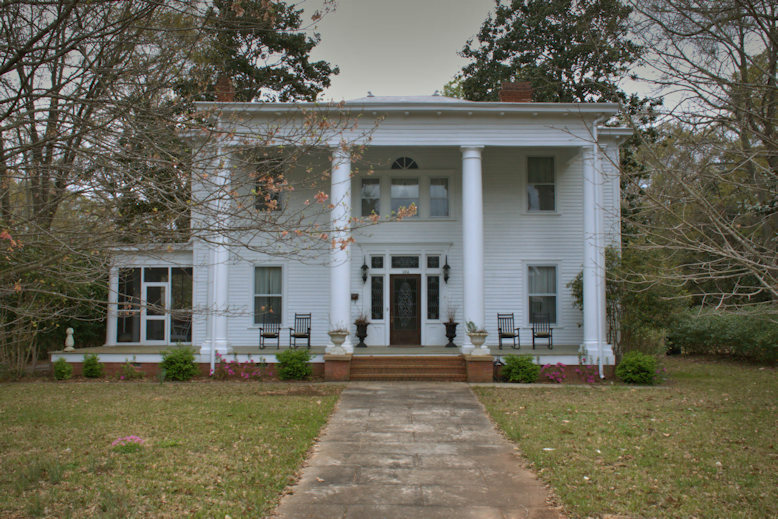 Forsyth has numerous variations of the Colonial Revival style but this is the grandest. 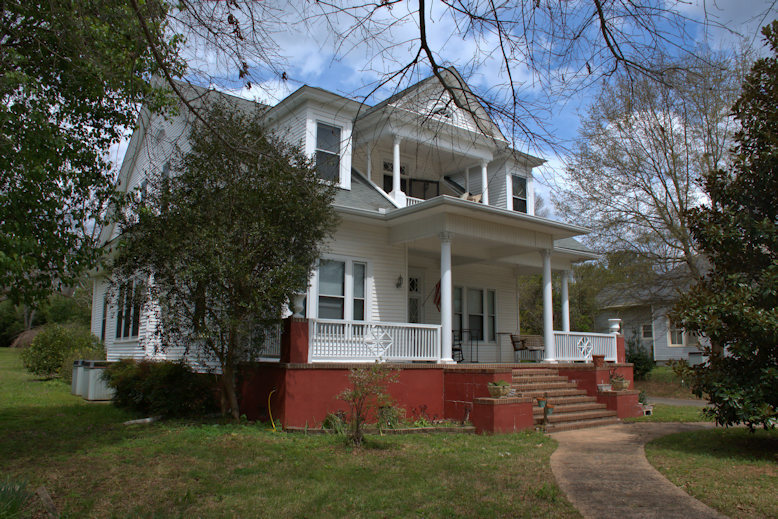 For lack of a better term, I’d call this “High” Colonial Revival. A carriage house is located at the rear of the property.